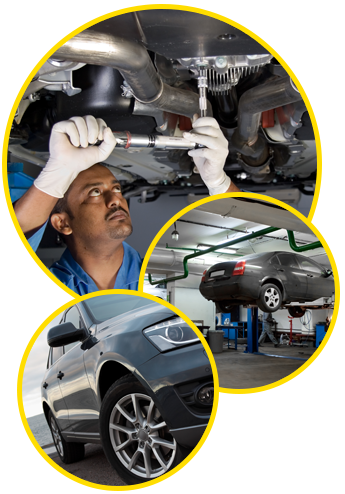 Improve your car's performance with an affordable transmission flush service from Oil Exchange. Based in Chicago, Illinois, we also provide radiator flush services to get rid of the build-up of rust and scale deposits within the radiator. With more than 30 years of experience, we take pride in providing quality maintenance services at reasonable rates. Our full-service oil change includes a deluxe oil filter, which we provide for cars that take lubrication. We also check the level of the transmission, washer, and brake fluids. For an additional cost, you may choose which premium brand you want us to use. These brands include Pennzoil™, Quaker State™, Valvoline™, Mobil 1™, and Castrol™. We also check the pressure on all four tires. For $39.99 (inclusive of up to five quarts of premium oil), we can get the job done in 10 minutes or less. Take your car to us when the transmission fluid has considerably changed its color (from red to brown). Flushing will help extend the life of the transmission and improve the car's performance. For $109.95, we will flush your entire transmission system and replace it with new fluids. If you need your pan dropped and filter replaced, the total cost would be $149.99. With a radiator flush, you can be sure that your vehicle will provide you with the proper amount of heat during winter. Maintaining the proper amount of coolant can prevent overheating and maintain the heating and cooling capability of your vehicle. The fee for this service is $87.95 (for standard domestic vehicles). Keep your car's exterior clean and shiny with our soft-cloth car wash. This is an exterior-only automatic soft-cloth system with automatic blow dryers.